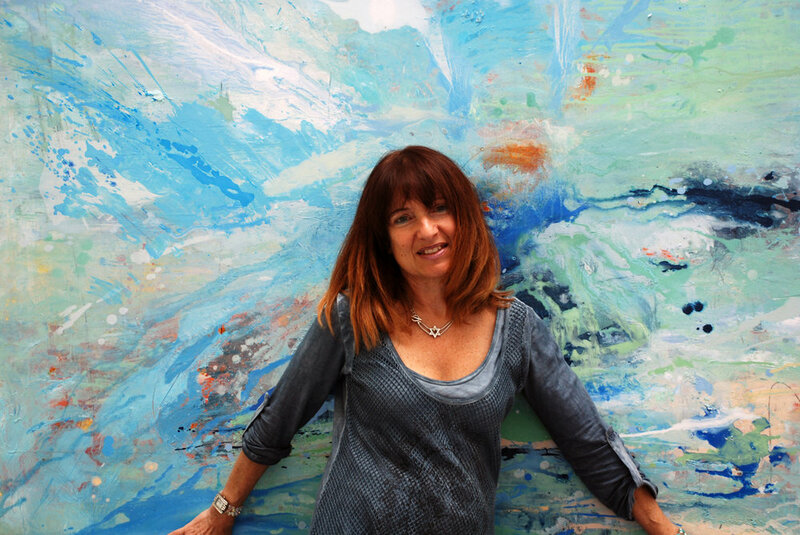 Born and raised in London, I started painting in my early years, obsessing with oils from the age of ten. I worked for 15 years as a journalist for The Sunday Times and The Observer, before studying Fine Art at Sir John Cass and Chelsea School of Art in the early 1990’s. Thereafter I studied Japanese techniques under the pupillage of Shurin, the only female Japanese master of the time. I am drawn to abstraction as it enables me to explore the unseen and to experiment with intense colour. My aim is to take the mind’s eye on a journey, inspired by the natural world. The connection between inner and outer landscape fascinates me. The world within is often informed by how we view the external world. I try my best to approach each day with fresh eyes, and to keep a sense of wonder. Jewish mysticism, ‘Tikkun Olam’ - healing the world, repairing what is broken // Japanese philosophy with its 72 micro-seasons // Space exploration and the stream of new information about the cosmos. I wear two hats. I have a studio in West London through ACAVA and exhibit at various galleries, pop-ups and group shows. I am also a contributor to The Sunday Times Magazine.